H. Ja y Platt is a third-generation native Arizonan and cow/calf producer. He and his wife Tricia are the parents of five children and live in Saint Johns, Ariz., where they own and manage a family partnership cow/calf operation. The business owns and leases ranches both in Arizona and New Mexico. Two sons also are involved in the business which is solely cow/calf, with no stockers. Attending Brigham Young University and Arizona State University, Platt graduated from the latter with a bachelor’s degree in finance and in 1978 received a doctor of jurisprudence from Pepperdine University School of Law in Malibu, Calif. After working three years in the tax department of an international accounting firm, he spent another three years practicing law with a downtown Phoenix firm. Since 1984, he has managed the family ranching operations. 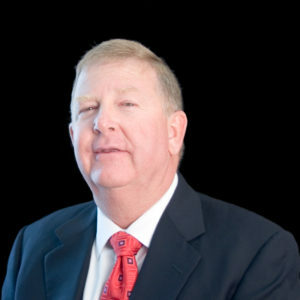 Platt has been active in Farm Bureau, having served as a county president, on the executive committee of the Arizona Farm Bureau, and has given testimony before a congressional subcommittee on behalf of the American Farm Bureau supporting repeal of the death tax. He joined R-CALF USA in 2001, believing it to be the only organization truly representing cattle producers and their interests.